$380 million in annual revenue. Fear shuts people down. 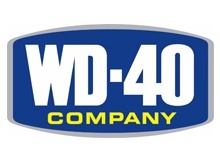 We don’t make mistakes at WD-40 Company, we have ‘learning moments,’ a positive or negative outcome of any situation that is openly and freely shared to benefit all. The principles of freedom-centered organizations that WorldBlu promotes help build confidence and comfort in an organization which doesn’t discount performance but nurtures inclusion, openness and learning.